HONOLULU, April 19, 2005 / PRNewswire / -- Nobscot Corporation, innovator in exit interview management software, today announced that Sigma-Aldrich has chosen its WebExit, system to identify reasons for employee turnover. Sigma-Aldrich is a leading Life Science and High Technology company. Patty Fish, Corporate Vice President of Human Resources for Sigma-Aldrich stated, "While our turnover rate is comparatively low, Sigma-Aldrich sees well conducted exit interviews as an important source of organizational learning." "As Sigma-Aldrich employees are based around the world, engaged in the development of many products that are critical to life and health, we are delighted to have a program that can meet its needs," Beth N. Carvin, CEO of Nobscot Corporation, said in announcing the selection of WebExit. WebExit is the most advanced exit interview system yet developed, assisting companies in improving efficiency and cost cutting, while providing valuable human resources information. The program is used by leading banks, financial services firms, retailers, and manufacturing companies, as well as by utilities, governmental, health care, education, and technology organizations. Once the WebExit system is installed, additional features and upgrades are added on a continuing basis. Sigma-Aldrich will apply WebExit's recently-introduced language module for exit interviews in English, Chinese, French, German, Italian, Japanese, Korean, Spanish and Hebrew, allowing employees to view and complete the process online in the language in which they are most comfortable. Nobscot Corporation, the pioneer in exit interview management software, was founded in April 2000. In December 2001 HR Executive Magazine crowned Nobscot's WebExit one of the Top 10 HR Products of the Year. Today WebExit is the gold standard for exit interview automation and is used by organizations in over 20 countries worldwide. More information is available at Nobscot Corporation's website at: http://www.Nobscot.com . Sigma-Aldrich (Nasdaq: SIAL - News) is a leading Life Science and High Technology company. The Company's biochemical and organic chemical products and kits are used in scientific and genomic research, biotechnology, pharmaceutical development, the diagnosis of disease and as key components in pharmaceutical and other high technology manufacturing. It has customers in life science companies, university and government institutions, hospitals, and in industry. Over one million scientists and technologists use its products. Sigma-Aldrich operates in 35 countries and has over 6,000 employees providing excellent service worldwide. The Company is committed to the success of its Customers, Employees and Shareholders through leadership in Life Science, High Technology and Service. 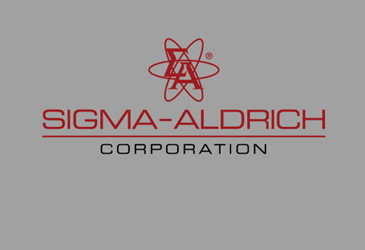 For more information about Sigma-Aldrich, please visit its award- winning web site at http://sigma-aldrich.com.